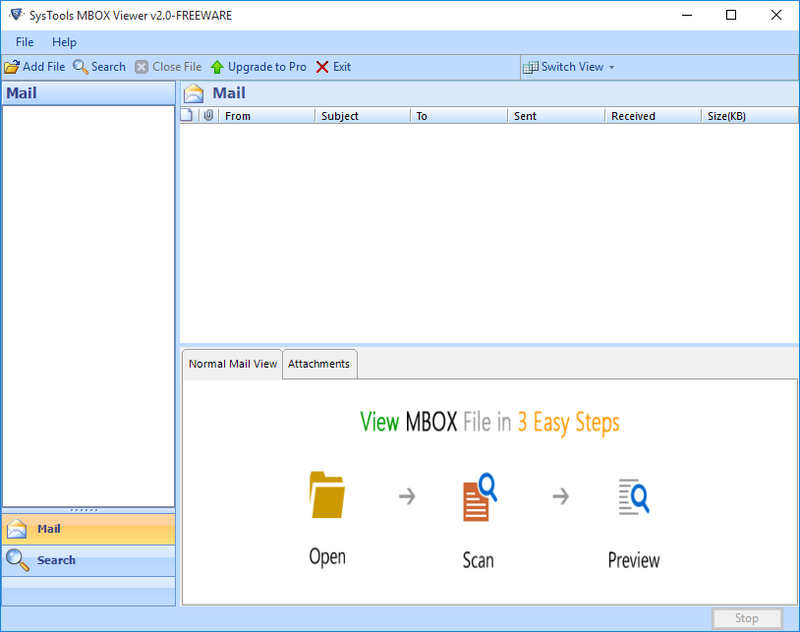 MBOX File Viewer is a standalone tool having in-built viewer to generate preview of attachments of selected emails. This unique software can easily preview emails along with its attachments and provides a feature to instantly read MBOX file in a small fraction of time. 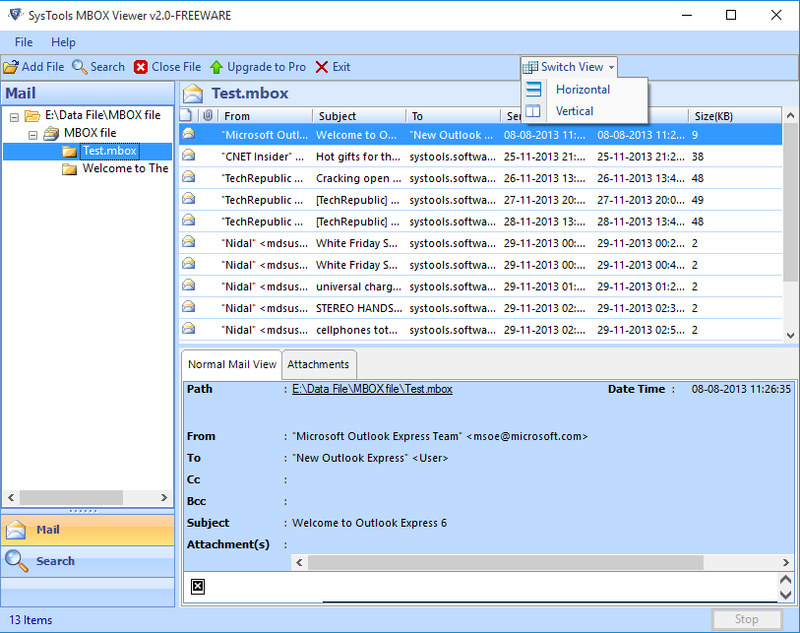 MBOX Viewer tool supports 20+ email clients i.e Mailbox data of these email clients saved in Mbox file can be easily read in MBOX file reader without having any mail application to be installed on machine. The software uniquely open mbox file of large size. 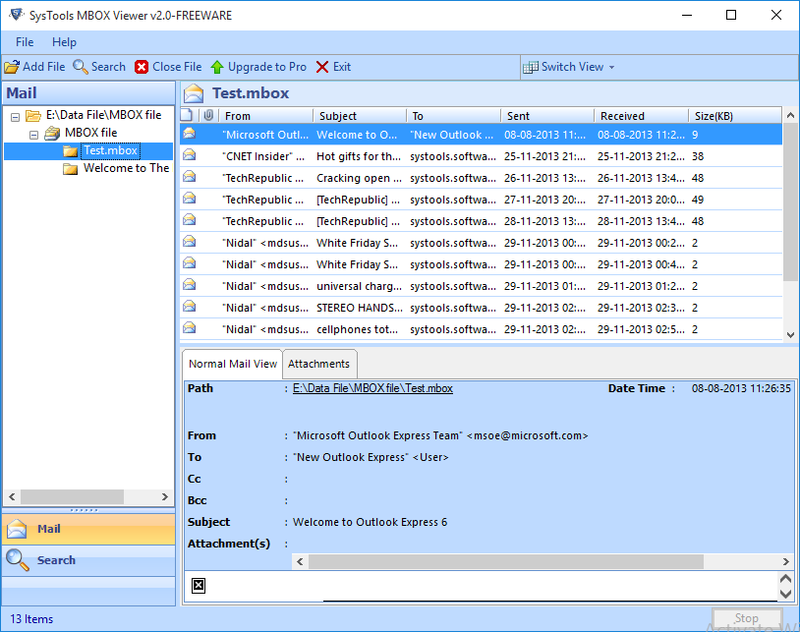 MBOX File Viewer is a unique tool which performs quick scanning of each type of .mbox file and can easily list all of the emails with proper formatting. It provides an exclusive feature to view MBOX file of any size. It preview the scanning process with file size and file creation date. No Supportive Email Client Required to be Installed on Machine to open & read MBOX file. No MBOX File Size Limitation i.e easily open MBOX file of large size. Provides Simple User Interface to easily read MBOX file. Facility to view multiple MBOX Files in Batch. Supports .mbox files created with the Gmail Takeout, Thunderbird, Mac Mail etc. How can I read MBOX files by MBOX Viewer tool? Is it possible to add multiple MBOX files at once by this MBOX file opener? Yes, of course, this software allows you to add multiple MBOX files at a time and generates preview. Is there any file size limitation for MBOX files that can be open by MBOX Viewer? Can I open Corrupted MBOX file ? Yes, MBOX file reader tool provides an option to open and view any type of corrupted MBOX file. Not only this, MBOX file opener is a unique tool which can also removes corruption from every end and make it possible for users to open MBOX file. Is it possible to run MBOX Viewer on my Windows 10 OS machine ? Yes, MBOX file opener software can easily run on any Windows 10 platform and its below versions. 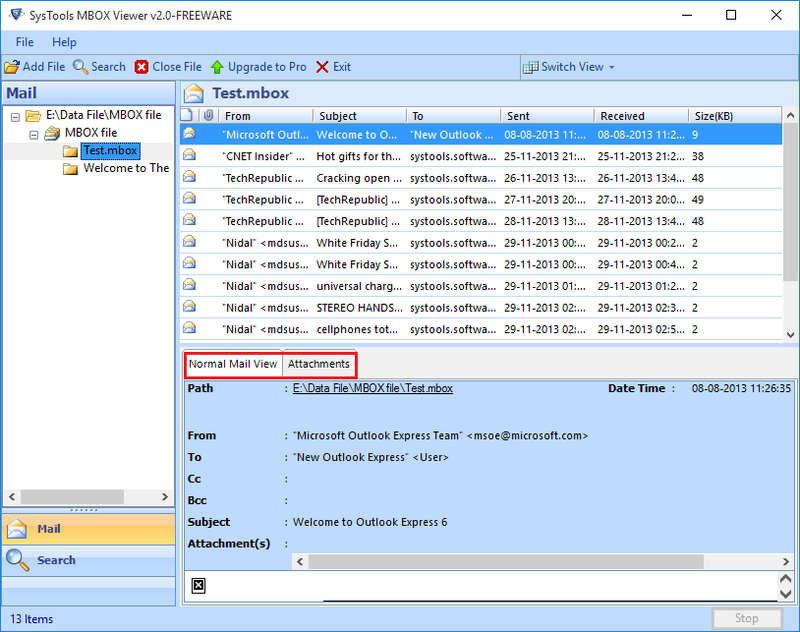 Do I need to install any email client to use this MBOX Viewer software? No, there is no need to install any email application to use this tool. It is a standalone software to open and read MBOX files.